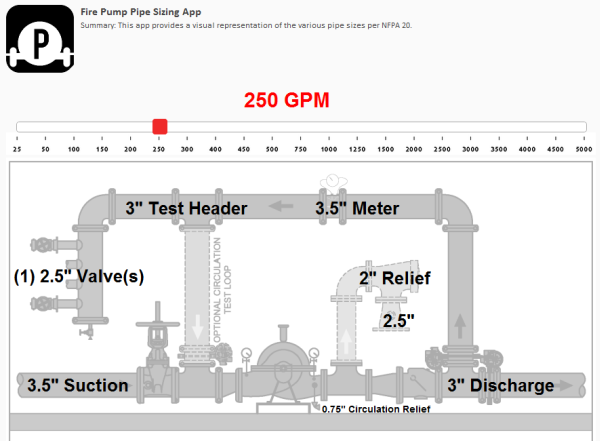 We are pleased to offer a NFPA 20 fire pump sizing app to our clients. This app allows you to quickly look up the minimum required suction, discharge, test header, number of hose valves, and relief valve size. These are the recommended sizes and we recommend a quick phone call to discuss your project specific conditions. What happened to this very useful app?